Your garden will glow, thanks to these little song birds and their discovery. This figurine has a solar panel that soaks up the sun by day and makes the clear ball glow by night. 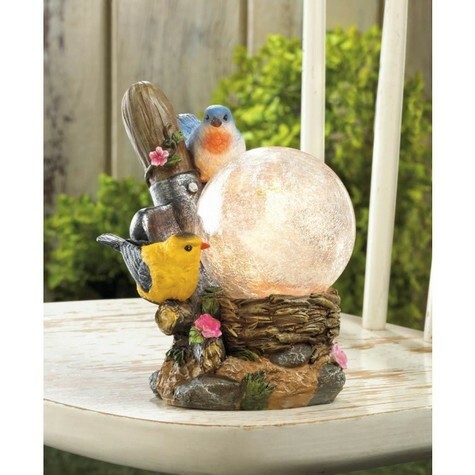 The pretty scene is finely detailed on this garden decor, with two pretty birds, blooming flowers and more. Dimensions 5" x 6.25" x 7.5"